It is hard to believe that today is already the 4th of July! It seems that when this incredible holiday falls in the middle of the week, just a little piece of summer goes missing. However, any day off is usually a good one! 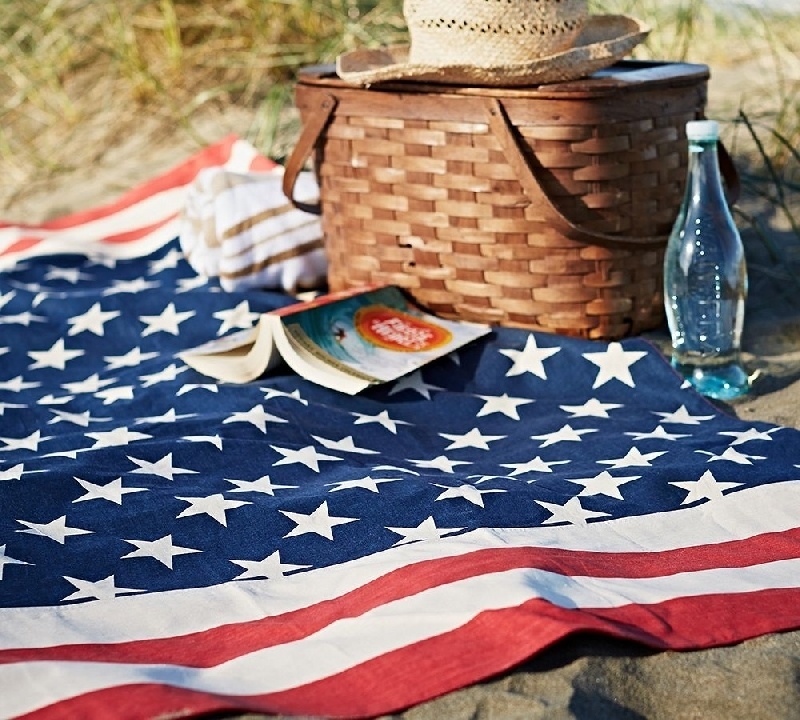 The 4th of July is one of THE best holidays because there are no gifts to buy or wrap, no huge elaborate decorations but rather it is a day to do something simple with friends and family…a beach, a picnic, a barbecue and of course fireworks. Today, we celebrate our country’s 241st birthday. As a nation we are still young and it is evident that we still have more than a few growing pains. While, it has been hard to watch our country so divided in so many ways, I think we often forget how much more connected we are than separated. Our media thrives on conflict and so rarely do we get to witness images of resolution, collaboration, kindness, teamwork and hard work. All of which are things that I have the privilege of seeing in my America. Interviewing people over and over who give of themselves, their finances, their time, energy and commitment simply to help their fellow man. That is my America. Our 1.7 million nonprofits and the 11.2 million Americans who work for them are there for one reason only, to serve someone else. To help someone who needs it. That is what I see everyday in my America. 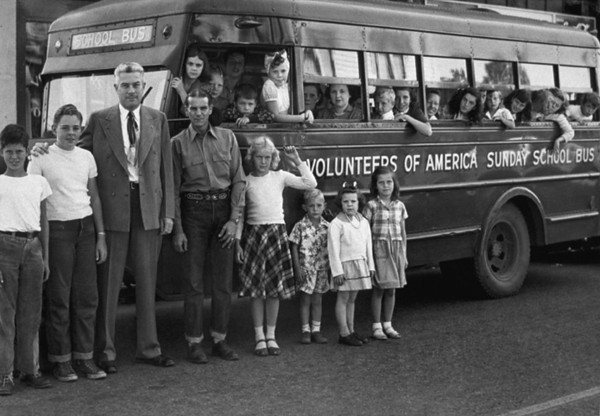 Hardworking dedicated volunteers and nonprofit employees choosing to give of themselves, just as those who came before us did. Whether service through military, through church and community or simply to one another that is what Americans do. When September 11th happened we all reached out to one another. We held each other up, we gave of ourselves to help those that were suffering. That is the America that I know. Yes, we do not all agree on everything and chances are high that we ever will. However, I do hope that today you agree how lucky you are to live in a free country filled with good, kind and hardworking people who model to the world what freedom is. We are Americans, that is what we do. Happy 241st birthday America and Happy 4th of July! Tomorrow markes the 13th anniversary of the fateful day that changed the face of our nation forever, September 11th, now renamed Patriots Day. Each year I wonder will we remember? Should we remember? It is so painful, even more than a decade later we all feel the pain of reminders when we watch the news and see the images. I debated, is it time to stop reflecting on this fateful day? After some thought, my answer is no. We promised never to forget. We promised to hold those families in our hearts and to come together as a nation. So, if ripping off the band-aid yet another year reminds us of our promise, then that is what needs to be done. So tonight, tomorrow and every day after, hug your children, tell the people in your life that you love them. Just as the song says, “I believe love will find a way.” Make Pariots Day stand for something, love. I always refer to non-profit founders as heroes but this founder is the real deal and he has the medals to prove it. His name is Bill Keegan and he was the Night Operations Commander of the World Trade Center Rescue/Recovery Teams. Bill was awarded the highest medal for the WTC 9/11 assault as well as the 1993 WTC Bombing Medal of Valor for his rescue of school children trapped in a stalled elevator; the Hanratty Medal of Valor and over fifty police duty medals. What makes Bill a real hero, as if he wasn’t already, was his creation of the non-profit, HEART 9/11 (Healing Emergency Aid Response Team) which he founded in 2007. Heart 9/11 is a non-profit disaster response organization composed of police, fire, union construction workers, and 9/11 surviving families. Their belief is that we help ourselves by helping others. These volunteers help first responders and victims of disasters by transferring the hard-earned lessons they learned from the World Trade Center rescue/recovery mission. The Mission of HEART 9/11 is to alleviate the suffering of individuals and communities coping with disasters and related trauma, wherever it strikes in our world. Today HEART 9/11 is over 530 members strong. These members were experienced by being victims (9/11), and as a result, understand the challenges in turning victims into survivors. 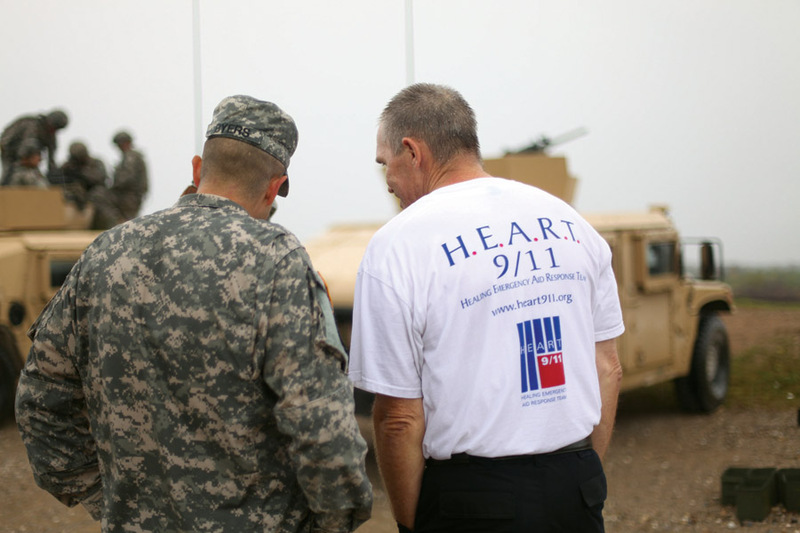 HEART 9/11 continues to rebuild lives in three ways: emergency response to disaster stricken communities, facilitation of mental health and build housing for wounded returning veterans. 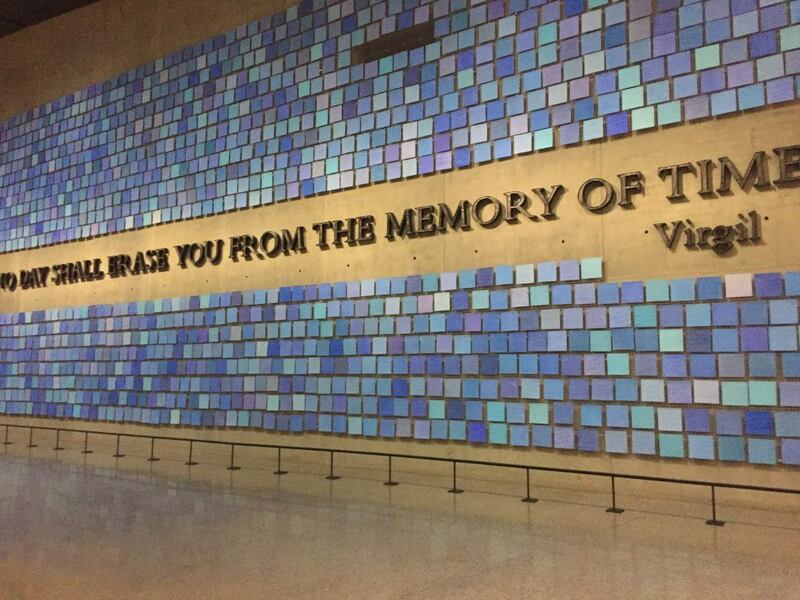 September 11th was a day we will never forget. 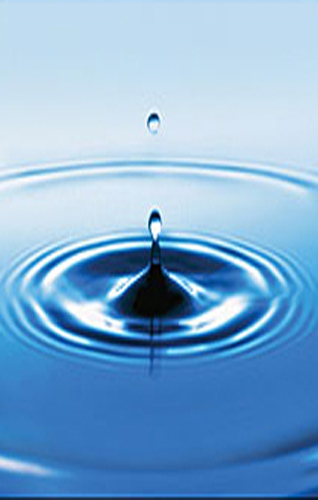 The heroes and the ripples of kindness that resulted from loss, continue to inspire. We all know where we were that fateful morning twelve years ago today. A moment burned in our minds forever. I will never forget taking my oldest son on a trip to NYC a few years after 9-11 and going on a tour run out of the temporary makeshift 9-11 museum. The tours were lead by the victims spouses, brothers and first responders who lead us through the surrounding buildings of the World Trade Center. They shared their stories, their day and the legacy they were left with. Their pain was still palpable and they wanted to share it with us, so that we never forgot that these were not buildings but people. What a difference a week makes! Last friday I asked each of you to Stand Up 2 Cancer and it seems that you did because friday night alone over $81 million dollars was pledged towards cancer research! When someone says one person can’t make a difference, they are simply wrong. Every drop makes a full bucket. This week we marked the 11th anniversary of the Sept. 11th attacks and then saw yet another attack on our Embassy in Libya. The noise we hear each day can be deafening. The bigger the event the smaller we feel. So lets choose to continue to focus on the good and those who inspire, lift us up and make our world a better one. Remember you can do something, even if its simply a smile. Happy Friday everyone! Its hard to believe that 10 years has gone by since that fateful September day that is embedded deeply into our minds and our nation’s history. Each of us knows exactly where we were at that moment in time as we witnessed images still almost impossible to process a decade later. Yet out of all the loss and tragedy a new hope and promise has emerged as our nation comes together for this anniversary. There is a movement underway way by 911day.org to reach out to all asking for a international day of service in remembrance. Take a small moment to pledge a prayer, an act of kindness or just to look at all the love and beauty in our world which is so often overlooked. We may have lost 3,000 bright lights that September morning but their goodness shines down upon us as a beacon of hope.